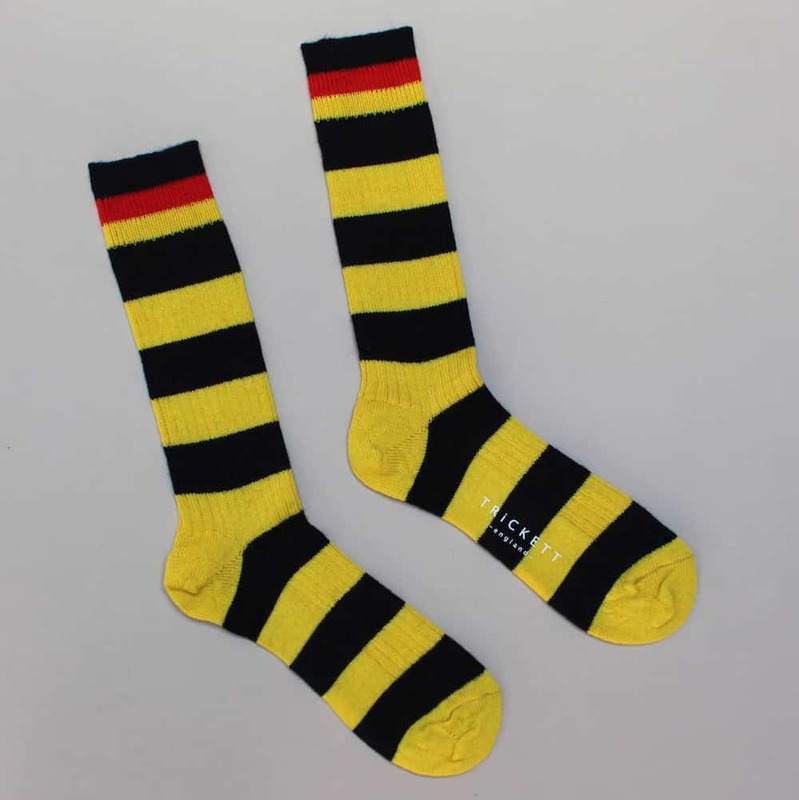 Our Sancho socks are super great as they come in one my favourote teams from Germanys colours and represent one of the most exciting English players in the game. Yellow and black hoops with the German flag at the top, I mean, what more is they to say? Our socks are made in the UK by Neil and are manufactured in a British wool yarn. They are ribbed for extra security and are super lovely, try your best not to boil wash these like!